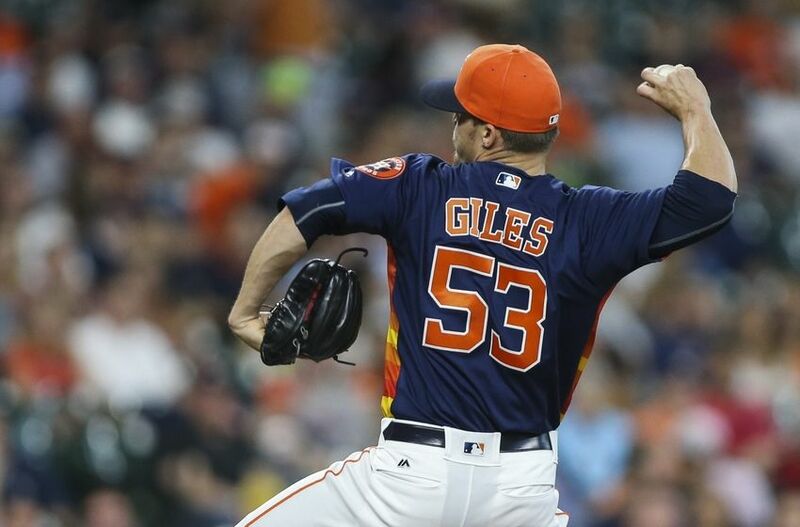 Sorry I am about to throw some shade, but really Ken Giles, you are the one who started it. Bitter much. The Rangers have beaten and continue to beat the Astros. EVERY SINGLE TIME! Come talk to me when you have some big bats and when you can clean up your starting pitching, until then. You might want to work on your game instead of working your mouth. Thank you for the bulletin board material. 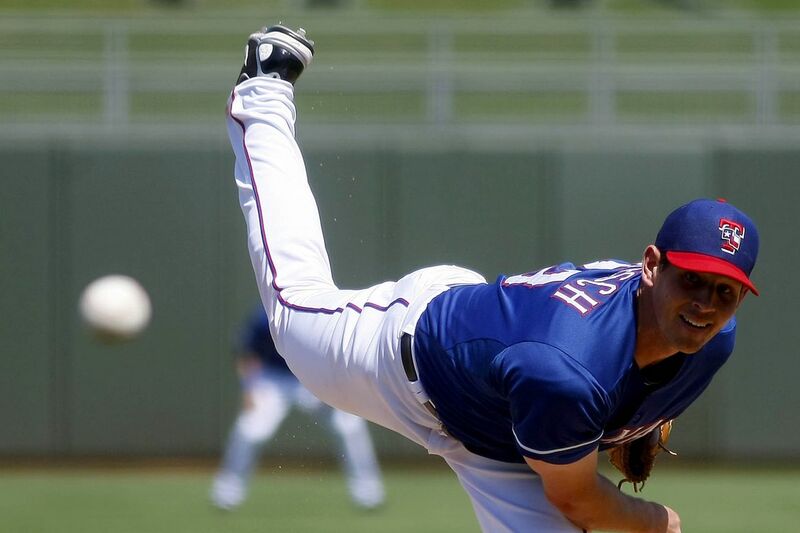 Rangers are so full of pitching that Nick Tepesch was given his release from his minor league contract, there was no place for him with the Rangers and he didn’t play last year with injuries, his career stats are 9-17 with a 4.56 ERA and 219 innings pitched with 132 strikeouts. This brings up an interesting issue, What do we do with all this pitching, we are going back to Rick Helling and Aaron Sele days with our starting pitchers, most teams would be happy with one horse in the stable but the Rangers are starting to look like Churchill Downs. We have two main horses and with Cole Hamels and Yu Darvish, and now Derek Holland had a very strong outing, on Sunday going 7 innings and only giving up 2 earned runs with 6 strikeouts. Holland has had a history of injuries but the way he has been playing you couldn’t tell. The Rangers have had a lot of faith in Holland and it looks like this horse is ready to run. This also creates some complications with the addition of Colby Lewis and Martin Perez, where does A.J. Griffin go? Does he become a long man in the bullpen? Then you have another pitching question mark with Cesar Ramos. What is says to me, is that the Rangers have an abundance of mid-level pitching talent that they may be able to turn into a needed piece to get even stronger at the trade deadline. The other part of this baseball equation is the fact that this team is full of talent. 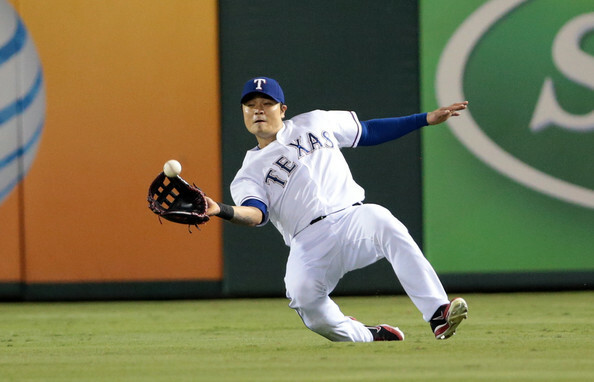 Shin-Soo Choo is coming back soon, and so what do we do in the outfield? Where once we had no one so we went out and got Ian Desmond, and made him an outfielder, now the Rangers cup runneth over. Drew Stubbs is on the DL but should be back soon, so where does he go? He also left the Rangers previously for only being a backup will he want to leave again? Who do you give up to put Stubbs in when Choo is back? I really see Stubbs as the odd man out. Plus, would anyone have guess that Normar Marza was going to be this good this soon. If you did, you are better than me, because I admit I am blown away. So we can put numbers to this problem, we have a 25 man roster and now six guys to play three positions, Ian Desmond, Shin-Soo Choo, Normar Marza, Ryan Rua, Jared Hoying, Drew Stubbs. Where are we at now, too much pitching, too many outfielders and you think the infield is under control, nope we have too many there too. When Rougned Odor, severed his suspension, we needed a 2nd baseman, so we called up Jurickson Profar, who is proving his way into the line up. he is batting .380 and has 2 HR. Odor is back and Profar is staying, for now, but what is the long term plan? Either way,he Rangers are full of talent and have earned their rightful place, in first place in the west.